That conversation with Mr. Meikle was a defining moment for Mr. Lassonde. He decided to hold on to the company. 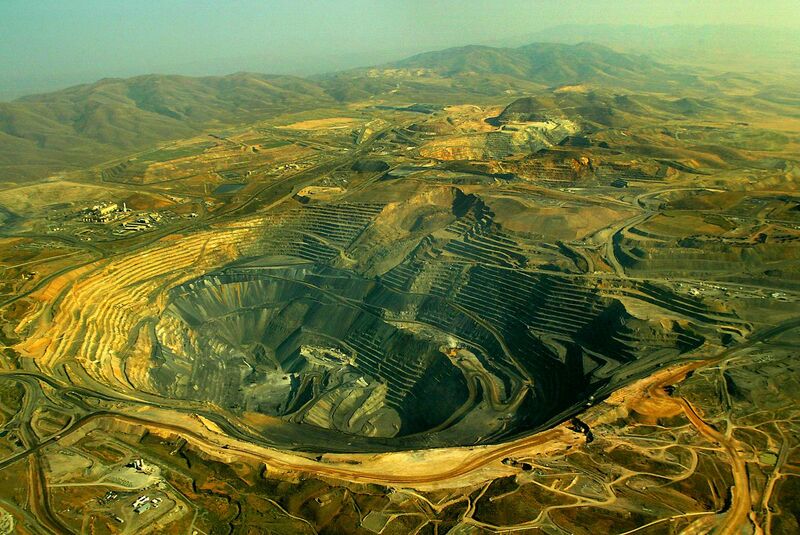 Given the wonderfully apt name Goldstrike, the mine would become one of the biggest in history. Since 1987, it has produced more than 45 million ounces of gold. Franco’s investment has yielded more than a billion dollars. Barrick Gold, too, has been chasing ever since. While it has acquired huge mines such as Cortez, also in Nevada, and Pueblo Viejo in the Dominican Republic through acquisitions, it has never come close to finding a virgin deposit on par with Goldstrike. While losing the top spot is a knock, Barrick has a much bigger problem on its hands: It is running out of gold. In the past five years, its reserves – gold in the ground that it can mine economically – have fallen 54 per cent, from 140.2 million ounces to 64.5 million. The drop is a function of a number of factors, including a declining bullion price, its selling of mines and a failure to launch on a blockbuster deposit, but also crucially its inability to find new large quantities of gold. “Yes, our reserves are going down. Yes, it’s something we have to deal with,” said Catherine Raw, Barrick’s chief financial officer, in an interview. The conundrum of declining gold reserves is by no means exclusive to Barrick. Many of the world’s major gold companies – Newmont, Goldcorp Inc., Kinross Gold Corp. – have seen their reserves fall significantly. Among major Canadian firms, only Agnico Eagle Mines Ltd., which has tended to have much lower reserves than its competitors, has seen its reserves grow over the past five years. Many of the largest gold mines in history have either shut down or are nearing the end of their life cycles. In 2001, Freeport McMoRan Inc.’s Grasberg mine in Indonesia produced 3.5 million ounces of gold; last year, its output was less than half that. Newmont’s flagship Yanacocha mine in Peru produced 3.3 million ounces during its peak year of 2005; last year, it eked out 535,000 ounces, an 84-per-cent decline. As the exhaustion of South Africa’s once-vast gold reserves has shown, even the richest of ore bodies eventually run dry. “We’re just not finding the big megadeposits that we found in the previous generation of discoveries,” Ms. Raw said. Finding new gold has become a much more difficult and expensive endeavour – one few are willing to finance. Nobody is finding large new deposits that are economically viable, environmentally tenable and situated in mining-friendly jurisdictions. Neither Barrick nor the industry at large has an easy answer for how to reverse the slide. Unlike copper, which is seeing a number of huge new mines being built, including First Quantum Minerals Ltd.'s massive Cobre Panama mine, not one game-changing gold mine is being built. Some fear the industry will soon be facing a supply shock. “There is a very high probability that, some time over the next five years, we could get into a real crunch,” Mr. Lassonde said. Until fairly recently, depletion wasn’t much of a concern in the gold industry because prospectors were finding sufficiently big deposits to offset what was being mined. The gold hourglass was in equilibrium. Then, all of a sudden, things changed. Due to relentless overmining, countries that were once gold-producing giants have all but run out. In the 1880s, South Africa started exploiting its vast reserves in its famous Witwatersrand Basin. In 1970, the country mined 1,000 tons of gold, an unfathomable amount that no country has come anywhere close to repeating. At the time, South Africa accounted for roughly 75 per cent of global gold reserves. South Africa is now a marginal player in the gold industry. In 2017, it was only the seventh-biggest producer in the world, according to the United States Geological Survey. Much of the mining in the country now entails going deep underground, as much as three kilometres down, to exploit what remains. Conditions inside the mines are often horrendous. As the giant mines have started to run out, companies are increasingly forced to mine rock that contains a lower grade of gold ore, with less metal in the rock. Miners are also sifting through larger quantities of rock to extract whatever gold is left. All of these factors are driving costs up. Which is to say places that are rife with geopolitical risk. Worldwide, a rise in resource nationalism is spooking investors, with African governments especially reaching out for a bigger piece of the pie. Barrick holds 4.7 million ounces of gold reserves in Tanzania, courtesy of its majority stake in subsidiary Acacia PLC, which operates three mines in the East African country. But after a nasty dispute between Acacia and the Tanzanian government – in 2017, Tanzania accused Acacia of defrauding it out of US$200-billion in taxes and slapped an export ban on the company – it is unclear if Barrick can make money in the country any more. In October, a provisional deal saw the government offered a 16-per-cent equity stake in the mines and an agreement to split future royalties 50/50 with Acacia. Nine months on, a final resolution has not been reached. Not too long ago, Barrick’s reserves weren’t a concern at all. In 2011, the company was sitting on record-high reserves, thanks in part to a massive new mine being built in South America. Pascua-Lama, high in the Andes and straddling the border between Chile and Argentina, was due to go into production in 2013. But it turned into what Barrick’s late founder, Peter Munk, would eventually call a “major fiasco.” After sinking an estimated US$8-billion into the mine, Barrick halted construction amid gargantuan cost overruns and environmental objections from Chile. For years the project sat in limbo, but earlier this year Barrick took Pascua-Lama’s 14 million “proven and probable” ounces out of reserves and put them into the much less economically certain “resources” category. While the company has received high marks for getting higher-than-expected prices selling non-core mines over the past few years – to address its alarming debt load, which peaked at US$15.8-billion in 2013 – a side effect of those asset sales is that Barrick has seen further drawdowns on its gold reserves. For example, last year it lost 9.2 million ounces of gold from reserves as a result of asset sales, three million more than it depleted through mining. It’s not all doom and gloom. Arguably, Barrick’s existing reserves are of higher quality now than a few years ago. That’s because some of the assets it sold weren’t generating any free cash flow. The average grade of gold held in reserves has also increased to 1.55 grams per tonne, compared with 0.038 in 2012. Still, some argue that even Barrick’s considerably sunken reserve base is artificially high and that the quality is questionable in some cases. In fact, Peter Ward, head of metals and mining research with Renaissance Macro Research in New York, says the company’s biggest reserve source shouldn’t even be on the its books. Cerro Casale in Chile, which Mr. Ward visited in 1996, contains 11.6 million ounces of proven and probable gold, accounting for 18 per cent of Barrick’s reserves. The mine’s gold grade of 0.6 grams per tonne is the lowest of any project in Barrick’s portfolio. Building a mine would command a huge upfront capital commitment, as the infrastructure challenges in this remote region of Chile are immense. Nor does the project’s projected return of “high single digits,” according to Ms. Raw, meet Barrick’s own internal return requirement of 15 per cent at US$1,200 gold. Still, Ms. Raw defended Cerro Casale’s right to be classified as a reserve: Legally it can be classified as such if it can produce any return – even if it’s far below Barrick’s own benchmark. Whether the company decides to develop the project is beside the point. Last year Barrick sold 25 per cent of its stake in Cerro Casale to Goldcorp, bringing its share down to 50 per cent – a strong indication that Barrick is on the fence about the project. At the same time, Goldcorp acquired a neighbouring property called Caspiche and amalgamated it with Cerro Casale and another deposit called Luciano, in the hope of improving the economics. Goldcorp also took over as the operator of the project, which it has since renamed Norte Abierto. Barrick’s CFO considers it a good thing that the miner cut its exposure to Cerro Casale – and the industry does too. “I sent [executive chairman John Thornton] an e-mail, congratulating him on offloading a wounded puppy,” said veteran gold analyst John Ing with Maison Placements Canada Inc.
Cerro Casale isn’t the only large development project in Barrick’s portfolio with uncertainty swirling around it. Earlier this year, executives conceded that none of the company’s large development projects, including Pascua-Lama and Donlin Gold in Alaska, meet its investment criteria either. In fact, Barrick isn’t as optimistic as its joint venture partner, NovaGold Resources Inc., that Donlin will see the light of day. While Barrick classifies Donlin’s 19.5 million ounces of gold as a “resource” – i.e., not yet viable – NovaGold classifies the project as a “reserve” – i.e., viable. While both companies say an eventual mine can turn a profit, Barrick isn’t convinced the necessary permits will be forthcoming, which is the other criteria needed to legally include Donlin in reserves. Regardless of whether Barrick and NovaGold get the permits, Ms. Raw says Barrick won’t be deploying large amounts of capital into Donlin – or any of its big development projects over the next five years. The returns are just not there yet and pale in comparison with the company’s more easily exploitable assets in Nevada and the Dominican Republic. As any junior miner will attest, raising funds for gold exploration is a big ask. Financiers have good reason to hesitate: Returns are awful. After the price of gold imploded about five years ago, the industry largely turned its back on exploration. According to S&P Global Market Intelligence, global gold exploration budgets fell from US$9.6-billion in 2012 to US$3.3-billion in 2016, a 65-per-cent decline. However, with balance sheets among the majors in much better shape than five years ago, exploration is staging a mini-rebound. Last year, exploration spending rose to US$4.1-billion. Barrick plans to spend about $205-million this year, up about 55 per cent over its 2016 trough of $130-million. with prices. Of late, that means slashed budgets. Note: Gold prices on monthly basis. All data to 2017.
prices. Of late, that means slashed budgets. Still, don’t expect a return to the halcyon days of gold exploration any time soon – from Barrick or anyone else. While resource depletion is a huge issue in the exploration industry, there’s yet another elephant in the room. In an age in which technology has infiltrated almost every facet of human endeavour, the gold industry is stuck in a time warp, seeing little or no innovation in decades. Drilling technology has barely advanced in the past 50 years, while the cost has shot up to US$300 a metre from about US$100 20 years ago, according to Mr. Lassonde. “The industry has to put more money into research and development,” he said. “We need game changers." Barrick also bemoans the lack of innovation in the mining industry, particularly on the processing side. “There has been no real technological advance in the way that we process gold ores, really since Barrick started building the autoclaves at Goldstrike,” Ms. Raw said. Developed by the company in the 1980s and put to widescale use in 1990, autoclaves, which are about the size of a 747 fuselage, use pressure and high temperatures to pretreat ore before it can be processed using traditional methods such as grinding. The advent of autoclaves gave gold companies the ability to process so-called “refractory” ore – sulphide-rich rock that hitherto was not recoverable. “Are there ores out there that are not exploited because of some technological barrier to entry? And ‘Can we be the ones that can overcome that?’ is a big focus of ours internally,” Ms. Raw said. 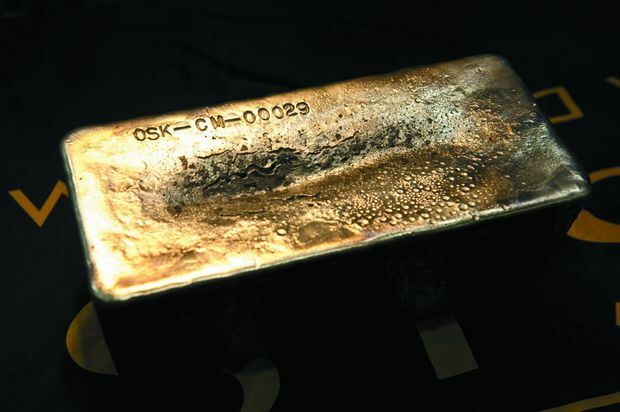 A gold bar from Osisko Mining. The dream of the mining industry is to eventually emulate the technological breakthroughs that opened up vast oil and gas reserves in the United States in the past decade. Thanks to 3-D seismic imaging, horizontal drilling and fracking, the United States is projected to swing from being a net energy importer to an exporter in 2022, for the first time since 1953; while “peak oil” was a common refrain a decade ago, hardly anyone talks about it any more. They may be a dying species, but there is still a contingent in the mining community who believe there are significant economical quantities of gold to be found in stable jurisdictions. Despite the daunting odds, not everyone has turned their back on old-school drilling. Veteran Canadian prospector Sean Roosen – whose motto is “SUDS,” as in “shut up and drill, stupid” – is one such diehard. He knows that often the best place to find new gold is near an existing mine or a shuttered one. “We like to go into old mine sites and see if there’s been a mistake made in the geology or if the economics or technology has changed,” Mr. Roosen said in an interview. Economies of scale are possible if you hit pay dirt because companies can potentially use existing infrastructure such as roads and mills and have a willing and experienced labour force nearby. After poring over geological data, Mr. Roosen’s junior exploration company, Osisko Mining Corp., decided to drill near an abandoned underground mine in northwestern Quebec in 2007. Results showed the ore body was far from done. Osisko raised $1-billion and built a massive open-pit mine, a rarity in Canada at the time. The Canadian Malartic went into production in 2011 and is now the biggest gold mine in the country, producing 633,000 ounces last year. Barrick has also benefited from drilling close to an existing ore body. Its newest mine, Goldrush, set to begin production in 2021, is only six kilometres from its massive Cortez property. While Goldrush’s 1.5 million ounces of reserves are nowhere near as immense as those of Cortez at its peak, it has a further 9.4 million ounces in the less certain measured and indicated category, which at least opens the door to it one day becoming a significant mine. While it doesn’t solve the reserves riddle on an industrywide basis, one way out of the muck for individual companies – at least temporarily – is to buy a competitor. We’ve already seen some of that. In 2014, Mr. Roosen’s Osisko was acquired by Yamana Gold and Agnico Eagle Mines for $3.9-billion, after the duo won a faceoff against Goldcorp. But multibillion-dollar deals are exceedingly rare these days, partly because the industry vastly overpaid for assets during the last bull market. Barrick was arguably the worst offender of all, paying US$7.3-billion in 2011 to acquire copper producer Equinox Minerals Ltd. After copper nosedived less than two years later, Barrick wrote down the value of the asset by US$3.8-billion. Seven years on, the Equinox stench still lingers. While shareholders are unlikely to give Barrick, or any senior gold company, the licence to do multibillion-dollar acquisitions for the foreseeable future, medium-scale M&A deals are in the cards. “Reserves in the ground are at the cheapest ever, and we believe the producers will discover that it is cheaper to buy ounces on Bay Street than to explore,” Mr. Ing wrote in a note. In other words, bargains are unlikely. While senior gold companies are not spending big on exploration any more, there are still juniors that venture into far-flung corners of the globe hoping to make a strike. The most promising often attract strategic investments from seniors, typically 10 to 20 per cent. In these quid pro quo transactions, majors make a relatively low-risk bet on exploration without jeopardizing huge amounts of capital, and juniors are able to raise money in a difficult financing environment. It’s a strategy that’s on the rise. Earlier this year, Barrick invested US$38-million into Midas Gold Corp., whose market valuation is a mere $220-million. Goldcorp, Kinross Gold and Agnico Eagle have also made strategic investments in juniors over the past few years in the hope of a big payoff one day. The good news for Barrick, and most other gold majors, is they are in much better financial shape to tackle the massive challenge of resource depletion than five years ago. Barrick has trimmed its debt to a much more manageable US$6.4-billion. Its costs are among the lowest in the industry, and it is generating healthy amounts of free cash flow, the most important financial metric in the industry. “They’re doing all the right things,” said legendary mining financier Seymour Schulich, formerly of Franco Nevada and Newmont Mining. He personally holds 10 million shares in Barrick, worth $170-million. Mr. Schulich isn’t particularly concerned about the fall in the company’s reserves and believes Barrick has plenty of gold to exploit as it is. He expresses confidence he’ll eventually make a blockbuster return on his investment. “It will be worth $500-million within two years,” he wrote in an e-mail. The reality for Barrick and the gold industry in general, however, is that diehards such as Mr. Schulich are outliers. After years of rotten performance, the buy side on Bay Street and the generalist investor have by and large abandoned the mining sector. Assets under management in large mining funds are a fraction of what they once were. Risk-tolerant investors have long since moved on to new, sexier sectors such as marijuana and bitcoin, which have vastly outperformed mining over the past few years. You might think that, in light of concerns over mine depletion and the dearth of new discoveries, gold bullion would be in a roaring bull market. Yet it’s trading at about US$1,200 an ounce, 35 per cent below its 2011 peak of US$1,900. The thing about gold is it has always been a mysterious commodity onto itself. Unlike, say, copper, gold rarely responds to actual supply-and-demand fundamentals. Instead, it moves because of intangibles. During the great financial crisis of 2008 and 2009, when almost every single asset class was in freefall, gold, then seen as a safe-haven investment, went parabolic. But a decade on, geopolitical fears barely register. Even the threat of nuclear war between the United States and North Korea this year had no impact. Meanwhile, investment demand for gold, which was ignited by the rise of gold exchange-traded funds in the early to mid-2000s, has waned in recent years. Ultimately, there are no obvious catalysts in sight that can revive it from its stasis. A radical outcome – one few are willing to admit – is that gold companies such as Barrick could eventually run out of gold. One of the idiosyncrasies of gold mines is that they typically don’t last very long. Unlike copper mines, which can easily produce for 100 years, a large gold mine can last 50 at best, but most run out after 25. In the meantime, over the next decade or so, Barrick and the industry will likely become smaller versions of themselves, content to churn out materially fewer ounces than yesteryear – all the while hoping that they’ll strike it big again and find the next great gold deposit. But in an environment of apathy toward the industry at large, the trick will be persuading their diminishing investor base to stick with them.